Let's face it - with how new online arcade games have always been associated with hours of fun However, arcade games can also refer to a fast-paced genre of game where skilled players are the king, as they are pinned against other real-time opponents or computer enemies. The arcade genre is an expansive genre of the gaming industry which has nabbed the attention of countless gamers out there. They have also experienced the dynamic progression brought by time but, many would still surely be looking for the best retro arcade games in the industry, which can simply be considered the original arcade games. Retro arcade games are as classic as they can be. This is why they are more often than not, deemed as part of the original arcade games. Their graphics and features may not be able to surpass the gigantic titles of today's games but one thing that's an irrevocable truth is that they could easily provide players with genuine fun and excitement. Even retro arcade games or original arcade games come in different ways and if you are planning to play classic arcade games yourself, here are some games that you should know. This yellow dot-eating friend of ours is undeniably someone who has already become extremely popular to the point where he more often than not, needs no introduction already. 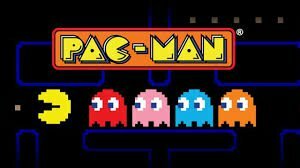 Pac-man is easily one of the most well-known original arcade game today and although it may be extremely simple in terms of graphics and gameplay, it's superb replayability will keep you hooked to its little box time and time again. The game's goal is beyond simple - eat the dots and stay alive. In the middle of the game, coloured alien-like monsters will be released out into the open from the centre of the game, and they will become the bane of your existence. Still, you just have to dodge these monsters and you'll even have the potential to devour them later on. This arcade game will surely test your skills to the limit and make you want to aim for the top echelon of its leaderboard. The epitome and extremity of skill-based games are without a doubt, Galaga. Many would surely agree to this as they reach the higher levels of the game. Although Galaga itself is a sequel, for many, it's one of the best and most original arcade game you could get. Its platform and gameplay are extremely simple at first since you'll basically be shooting down alien enemies as they come crashing towards your direction. The instructions need not be emphasized too much since it's extremely intuitive. However, the latter part of the games will surely test your coordination, wits and decisiveness as patterns and other challenges come into the mix. As you try to defeat your enemies, you would not even know how much time has already passed - that's how addictive of a game this is. The Street Fighter Franchise of today has become one of the most gargantuan arcade franchise. 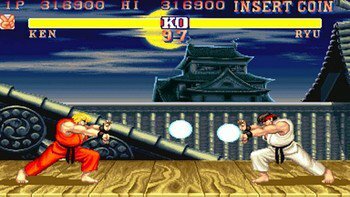 In fact, its history is something that can be stemmed back to Street Fighter 2, something that you could play on the arcade, arcade computer games and even arcade game joystick. Many treat it as the root of fighting games today and if you think about it, there's no doubt that it deserves such a reputation. It's concept of pinning players against each other, its immersive, powerful and distinct characters along with moves that could help you defeat your enemies, will surely keep you engrossed to the game as though there's no tomorrow. When it comes to multiplayer fighting arcade games, this one can easily be treated as an original arcade game. You can never go any more classic than Donkey Kong. It's on par with Pac-man and even Galaga as they are evidently part of the arcade retro games that will still keep you occupied for hours, even if you play it today. This makes use of the basic concept of saving the princess and it has also introduced a character to the arcade scene that you surely would not forget - Mario. The game features multiple levels of the platform and there are several ladders which you could use to manoeuvre over the platforms and make your way to beat Donkey Kong's behind. However, this would not be easy at all since Donkey Kong would throw everything he's got on you, literally! So stay alive and get to the top. Arcade games can be played in numerous ways. They can be played on actual arcades, on consoles with arcade game joystick and even at online casinos where arcade slot games are available daily. There are methods for all types of people out there and it is pretty apparent that as long as you want it, you can definitely experience a grand experience with the best retro arcade games of all time.